Forced Induction is the easiest way to increase a car performance. However by only adding turbo to your car without setting a correct boost level may lead to engine failure or power dissatisfaction. Talking about setting the correct boost level, a boost controller comes into mind. 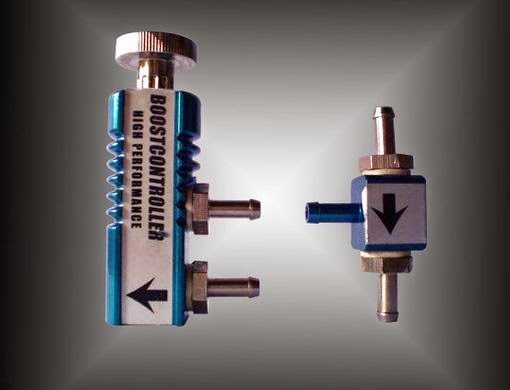 A boost controller is a device to control the boost level produced in the intake manifold of a turbocharged or supercharged engine by affecting the air pressure delivered to the pneumatic and mechanical wastegate actuator. So now let's talk about how to install a manual boost controller with D.I.Y method to save up the installation fees. Install a manual boost controller is pretty straight forward. You just need to connect the boost controller and the Tee adapter in between the intake manifold and wastegate actuator. Be caution that you need to follow the instruction of where to Tee adapter should face to. This is to make sure that it able to feed the correct signal to both items.